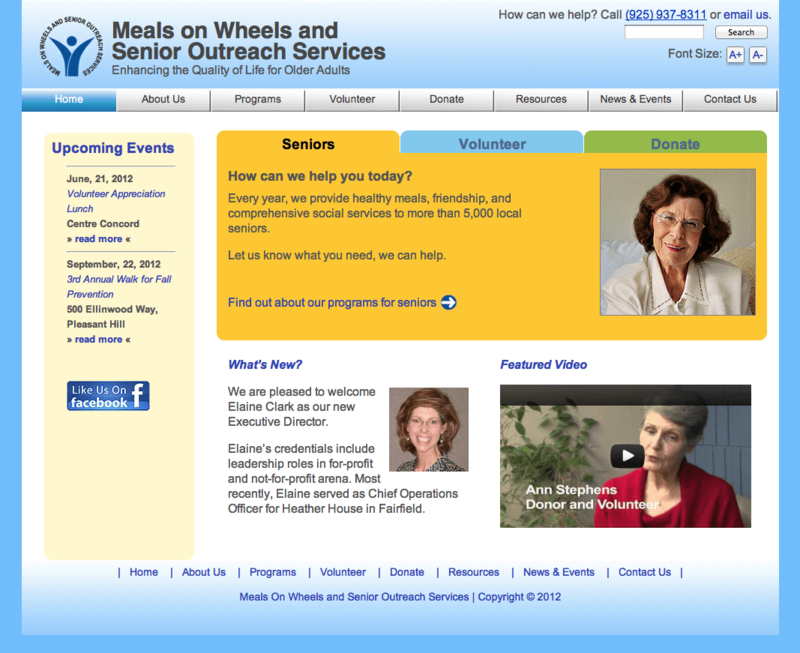 Meals on Wheels Senior Outreach Services (MOWSOS) was a lucky receiver of a Taproot grant to redesign and develop a new website. However, as the site was getting ready to launch, the pro-bono consultants working on the project realized there were a handful of really significant issues with the way the website was coded. Having worked with Taproot before, Taproot reached out to KornDev for some WordPress expertise and guidance. Happy to help, we were able to cleanup some of the horrendous code left behind by the original developer and get MOWSOS launched with a reasonably stable website, free of major defects.